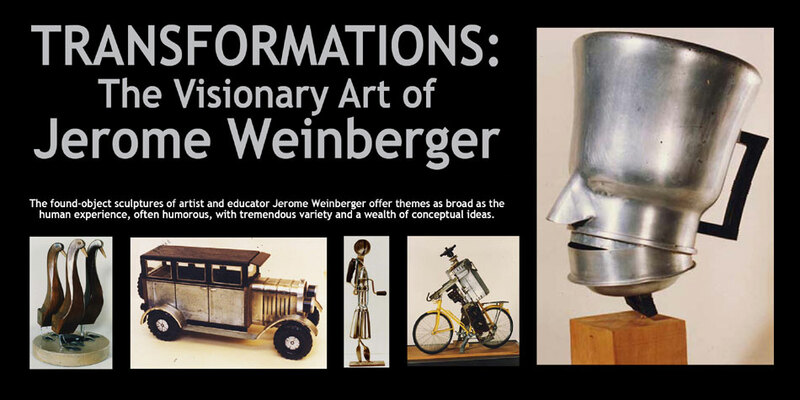 Jerome Weinberger was born in 1932, lived mostly in New York City, but has traveled extensively throughout Europe, Asia and the United States. 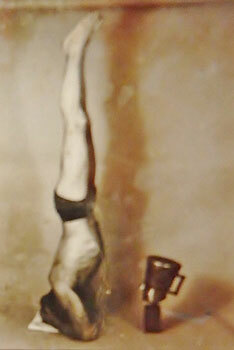 He served in the army in Korea, returning to the United States to complete his B.S. degree in Biology, and then taught and later managed the biology laboratories in a number of New York City high schools. In 1981, he retired to deepen his probe into cognitive/perceptual processes. Studies in world literature, psychology and a year spent writing poetry are all reflected in his art, which has been exhibited at Tiffanys’ and several Manhattan galleries. His insightful lectures focusing on the importance of the found object in art have been given at the Metropolitan Museum of Art in New York and the Bruce Museum in Greenwich, Connecticut. His largest reconceptualization was the transformation of an old school bus into a mobile museum of found object sculpture that drew over 12,000 people in the “Saturdays in Soho” project in 1983. He has been written up in The New Yorker and several other art publications, the New York Times and Newsday.